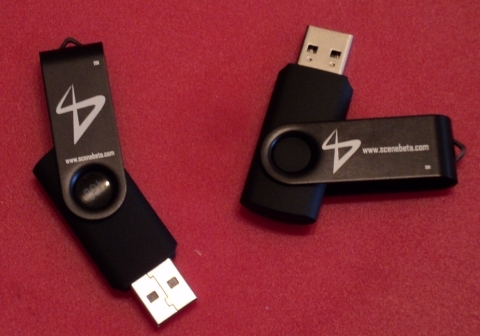 This year, in order to spread the Scenery in places not reached in other editions, we will organize a prize draw for two 4GB pendrives among every body that help us promoting the Scenery Beta. 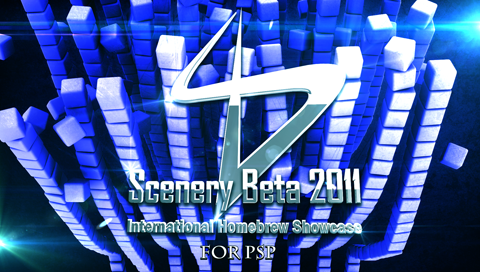 In order to participate you only have to put a link to the official contest anouncement (http://www.scenebeta.com/noticia/the-scenery-beta-2011-international-homebrew-showcase ) on the front page of your blog or webpage. Prizes will be sent to the winners without any cost. Users who take part in the prize draw will appear in the Scenery Beta 2011 Promo thread, where you can find all the details about the promo. The Scenery Beta 2011 involves these platforms: PC, PSP, NDS, Wii, iApps (iDevices), Android and PS3. A homebrew can take part in the Scenery in several platforms. A coder can present several works into the same platform. There will be two different sections (official, or contest section, and off-contest section) for each platform (PC, PSP, NDS, Wii, Android, iDevices and PS3). The organizers reserve the right to classify any homebrew sent as "off-contest", either due to lack of functionality (like proofs of concept), or any other likely reason, which will be always explained to the author(s). The official section for each platform will have two categories, Games and Applications (emulators will be classified as Apps). This is the first year for our PS3 community. Because of its youth, the organization has decided to give only one cash prize (bigger than in the older communities) for each of their categories, and a couple of 4GB pendrives. Which adds to a 6 trophies, 900€, 18 pins and 18 4-GB Pendrives total amount. Which adds to a 24 trophies, 2.000€, 24 pins and 24 4-GB Pendrives total amount. Organizaton will send conmemorative stickers for the works in the off-contest section. In order to be able to participate in this contest, you must be of age or have your tutor/parents' permission. You do not have to send to us any document, you only have to show these rules to your parents so they can let you take part in the Scenery Beta. 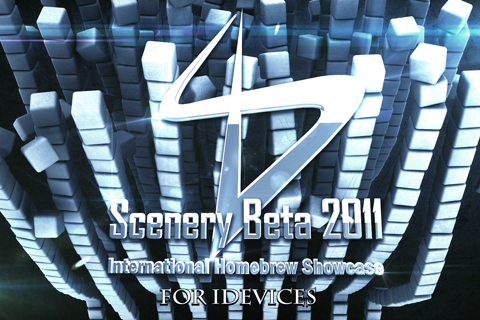 The author/s of the Homebrew must be registered in SceneBeta.com, because it will be a requirement to be able to vote. All homebrews must include the Showcase starting/splah screen (which must be showed during several seconds just before the software starts) for its platform (this is mandatory). All homebrews presented must have been started, or created, or significantly changed or developed during last natural year (12 months) before publishing these rules, or during the submitting period. Of course, you can submit a Homebrew created specially for this Showcase. We will only accept old Scenery Beta entries if a Homebrew has been changed significantly, or has improved its funcionality (the organization will be very demanding with this point), and only if they have not been awarded as first, second or third prize in one of the Scenery Beta editions. We will not accept any homebrew that includes third party contents with copyright, without the autorization of their respective owners. The participant declares to have all the authorizations when he sends his work to us. We wont accept Homebrews which have been created with Game Maker, AppInventor or 2D or 3D engines, they will be presented automatically into the "off-contest section". No homebrew will be accepted if it may somehow infringe the (copy)rights of its loading platform, or use commercially branded code (that is, PSP plugins, ISO-loaders, & the like). 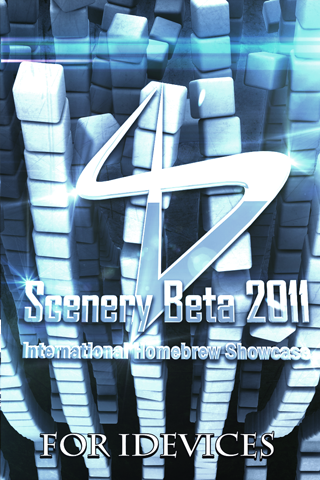 No homebrew will be accepted if it goes against the basic rules of the SceneBeta.com communities, that is, under no circumstances will be accepted those of racist content, sexist, xenophobical, inciting to violence against women, or aimed exclusively for people major of legal age/age of consent (i.e., "adult content"). The same homebrew cannot be presented to more than one category (cannot be a game and an application at the same time) but can be presented to several platforms. One coder can present different works into several categories, even for the same platform. Works must be sent as a single compressed, attached file, in ZIP, RAR or 7Z format. For iDevices platform, .ipa files wont be accepted, we will also accept .deb files. This file will include anything needed to run the work (.dlls, &c) and cannot rely on launchers or external programs to be run (it must be an executable). That is, if it's a program written in Java, Flash o Lua, it must be packed for execution (.exe, eboot, .elf, &c, depending on the platform), and if it is a work for PC that needs libraries (which must be licensed as free to use), these must be incorporated, too. It is allowed to send up to two versions of the same homebrew (excluding the original article), as long as the submitting period is still open, and the version which will be voted shall be the latest one presented which complies with the present rules. Any new version shall be e-mailed again, with the same requirements. The author (either a single coder or the whole team) must answer the voting form including the reasons for his votes, where he/she will mark the 3 best homebrews for each category where the author has submitted any work (auto-voting is forbidden), or else the score given by other coders to his/her work won't be added to his/her final score. The author may specify that his/her work should be inscribed directly as an off-contest work. 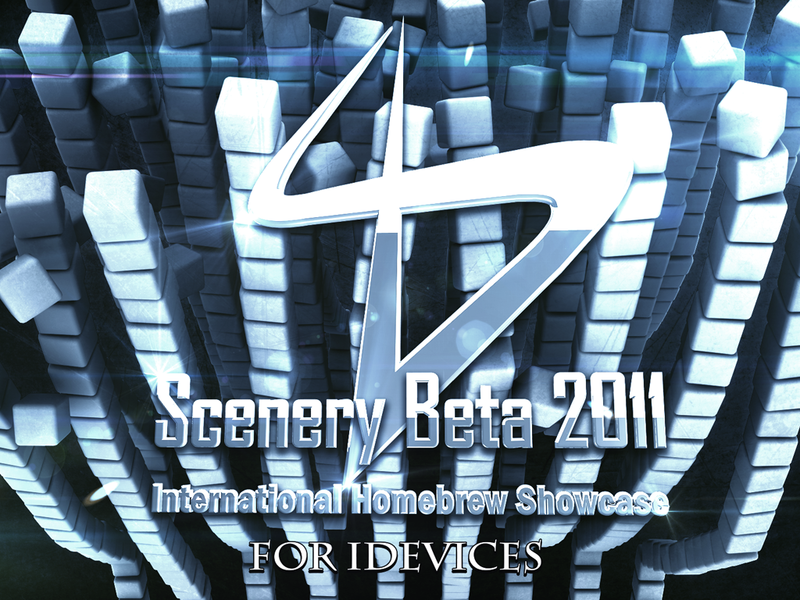 All works must be e-mailed to this address: scenerybeta2011@scenebeta.com. All submitted works which comply the present rules will be published in the relevant community of SceneBeta.com. By submitting the work, the author agrees to its publication in the terms described in the point "Publicación y/o envio de contenidos a SceneBeta.com" of the terms & conditions. 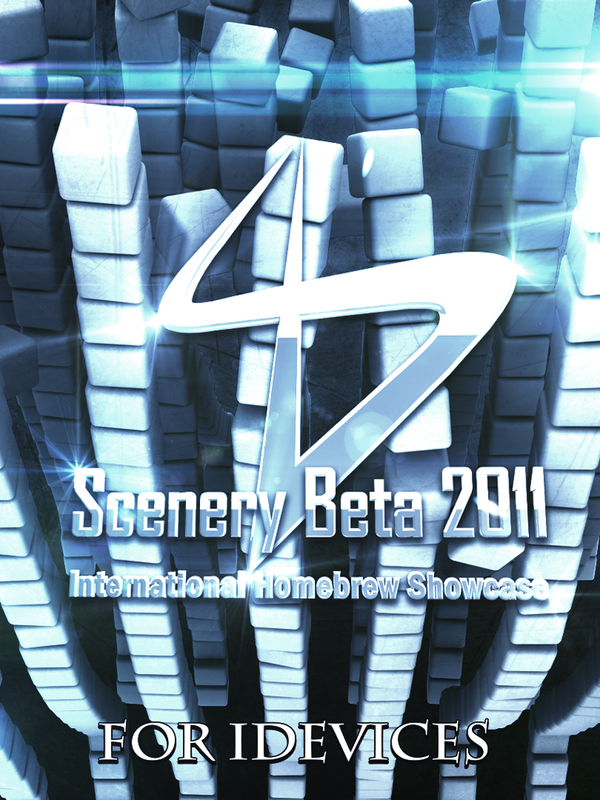 If a Homebrew takes part in the Scenery Beta, you can publish it in other Scene websites. But you must keep the Splash of the Scenery Beta. Inscription period: From the moment these rules are published until Sep, 1st, 2011 at 24:00 hrs (GMT+2 timezone). The organization reserves itself the right to mark any work submitted as an off-contest work, or to reject it from the contest for any reason which will be informed to the author of the homebrew. 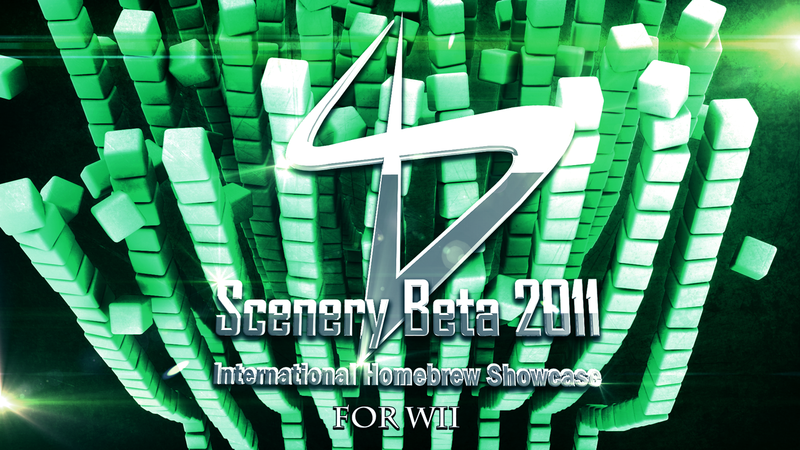 Scenebeta.com user account: web adress of the link "mi cuenta" of the authorized users for the voting. Platform: either PC (and which operating system), PSP, NDS, Wii, Android (including in wich Android version has been tested), iDevices (telling us if it works under iPhone, iPad, iPod Touch or all of them) and PS3. Version code for the homebrew (allowing to track its evolution). All the changes since the last version, if the Homebrew is not a new Homebrew. If needed, any additional file/folder structure. A valid e-mail address for contact. Website of the author(s) (if he/she has one). Twitter account (it the author has one) to follow him from our official SceneBeta Twitter. 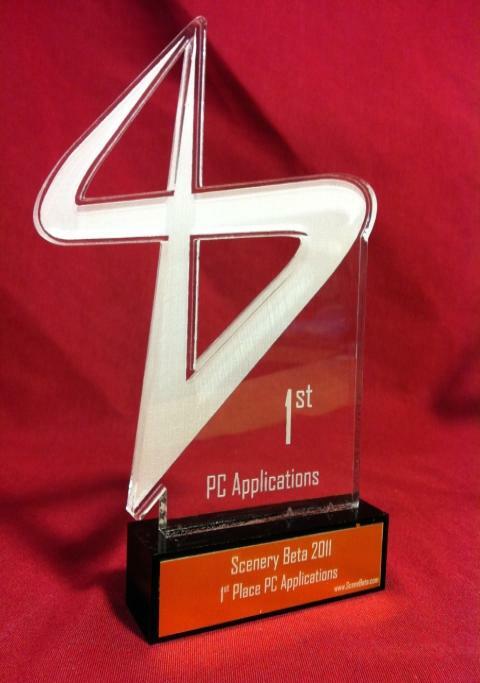 If it's being presented as a novelty for Scenery Beta 2011 or not, we will add it to the article. And any other addtional data that you feel necessary. The user's poll will remain open until 23:59 hrs of September, 23th, 2011 (GMT+2), the votes can be modified if the user wants to modify them. The coders's poll will remain open until 23:59 hrs of September, 16th, 2011 (GMT+2), the votes cannot be modified, once they have been sent to the organization. User votes: 70% of final score. Each user will choose his 3 favourite Homebrew of each category, the order will be important (more ponts will be given to the most favourite). Contestant (coders/teams) votes: 30% of final score. 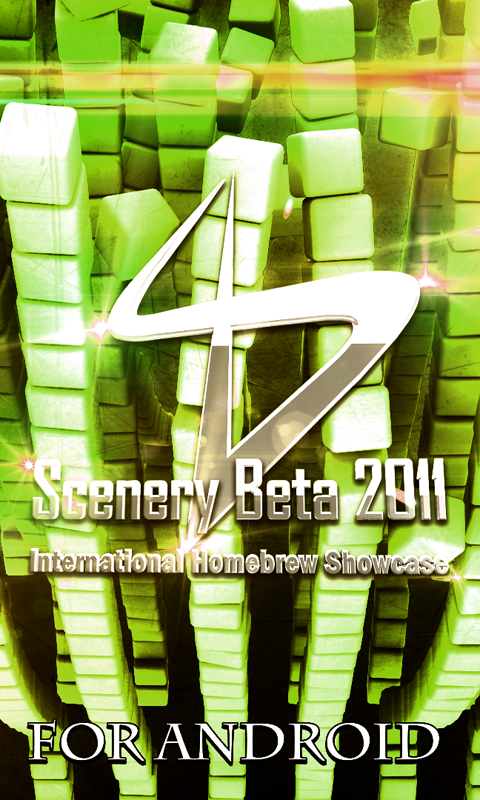 Each contestant (either single author or team) will send to the organization (scenerybeta2011@scenebeta.com) the reasons that explain why he has vote to the 3 best homebrews for each category on the platforms he/she's contesting in, not being allowed to vote for him/herself (he would be disqualified). The author has to fill this form, or else the other contestants' votes for his/her homebrew won't be added to the author's final score. The organization will add in the name of the coder the votes to the poll, and the reasons that he has explained. Coders wont be able to post in that poll, which will be public for coders and users for transparency reasons. When the final results are published, the detailed score on the three ratings above for each homebrew will also be published. 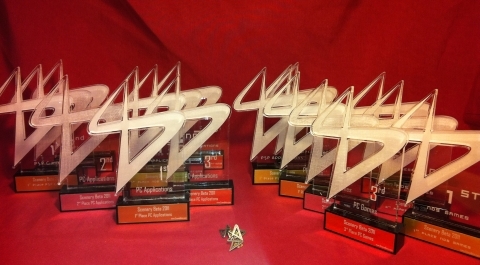 The winners list will be published on October, 1st, 2011. Once the winners are known, the cash prizes will be cashed either by bank transfer for European winners or via Paypal for non-European winners. The material prizes (pendrives) will be sent by registered international mail or courier. The Scenery Beta 2011 organization reserves the right to modify partially or totally the present rules, if there are major reasons to do so ("major reasons" being what is also called in legal terms "act of God" or "force majeure"), and always in a reasoned, well-explained way. Also, the ultimate interpretation of these rules will be that of the organization. If a platform has several resolutions (for example, Android has different terminals with different resolutions), you can rescale the splash to a smaller size. If you want to make it bigger, you can fill in black the rest of the splash. Click to zoom in. Big picture, you can resize it if you keep the original aspect ratio. Here's the link to the Scenery Beta 2011 article.